WEAVERVILLE, North Carolina -- It's widely known that it can be easier to achieve a goal with the help of loved ones, and one Weaverville couple is showing the world just how powerful the buddy system can be. Becky and Donnie Hensley, both in their seventies, are now perfectly healthy, but it wasn't always that way. 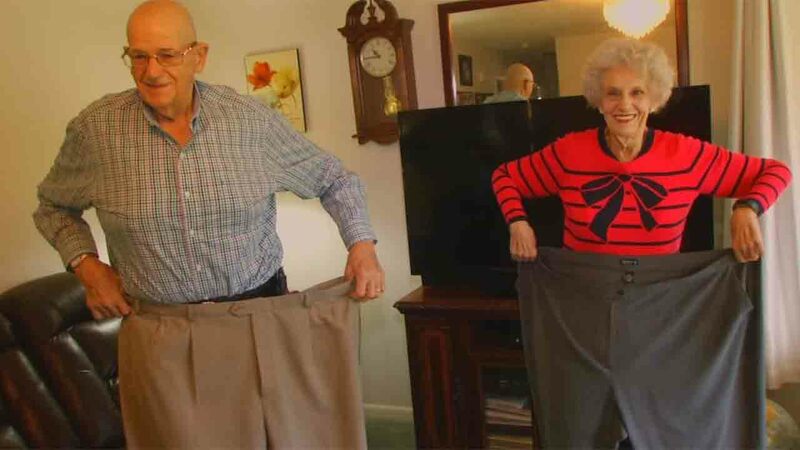 Years ago, the couple weighed roughly 370 pounds each. Beck said she could barely walk around and needed a divine intervention. "I was praying, and the Lord spoke to me, and said, 'Go find Donnie, and ask him to go to Weight Watchers with you,'" she told WLOS. Seven years later, the pair has slimmed down; Donnie lost 165 pounds and Becky lost 208. "It hurts me when I see folks that are big like this because it's just been such a tremendous journey that God has blessed," Becky said. Love, support, and of course, motivation. "My husband and I have a much better lifestyle now. We have fun with different recipes. Also, more fun smooching." "Patience and persistence will pay off. Nobody is perfect, we're not perfect. Sometimes we go to parties and we may eat too much, we may eat things we shouldn't eat. Once and a while it doesn't hurt you."